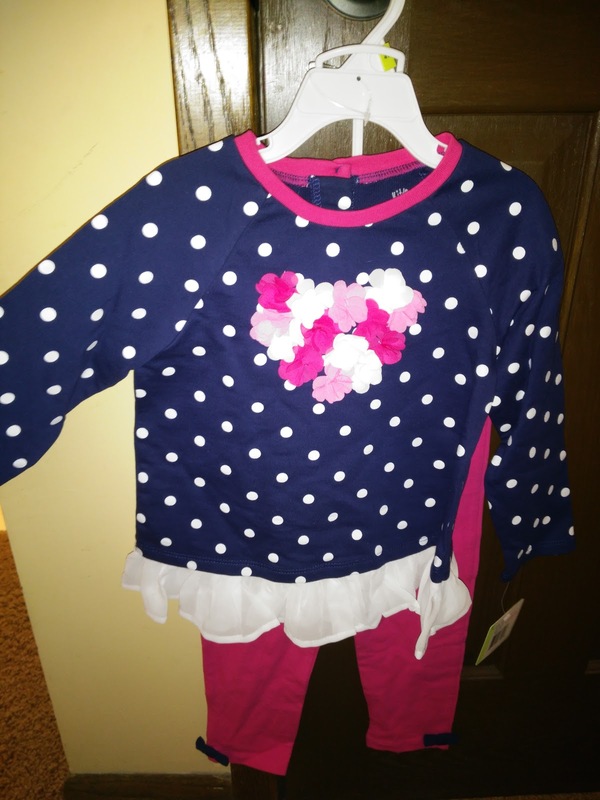 Spring is such a fun time to update your child's wardrobe because the beautiful, fun and colorful clothing available for warmer weather is so great to see on children now that the cold, drab winter weather is OVER! And there is no better place to get super cute, colorful and comfortable clothing for children than from Trumpette and Little Me! When we have something important or fun to attend, I dress my children in Little Me and Trumpette clothing so I can show them off! :) Clothing from these two companies are always my favorites for them to wear! And their Spring collections are definitely not disappointing! Little Me just released some new Raincoat outfits for Spring and new swimwear! I just loved looking through the new collection of outfits. A floral heart ups the feminine factor on this fun and functional play set for her, complete with toddler girls' ruffled tunic and matching leggings for ease of movement. This toddler girls' darling daisy set makes a splash with a bright yellow slicker and coordinating shirt plus printed leggings. The water-resistant rain jacket is finished with large flower buttons (easy for little fingers) and matching cotton liner for added comfort. 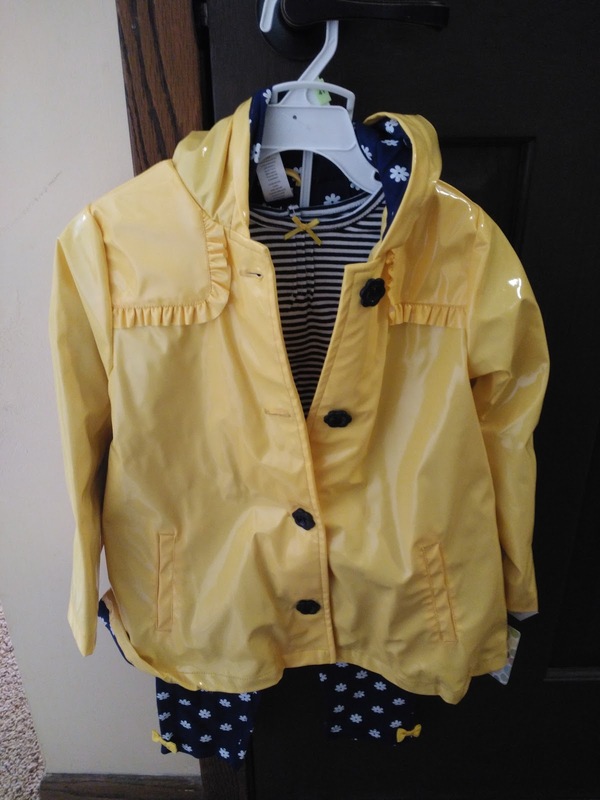 I just love that this raincoat has a super cute outfit that goes with it! My daughter not only can splash in the puddles but she can look super cute doing it! :) I LOVE the bright yellow color - it just makes me happy looking at it! This three-piece baby boys' set combines nautical elements for a cute and preppy look that's comfortable for him, too. Includes a lined, hooded jacket, long-sleeve shirt and khaki snap-front pants. 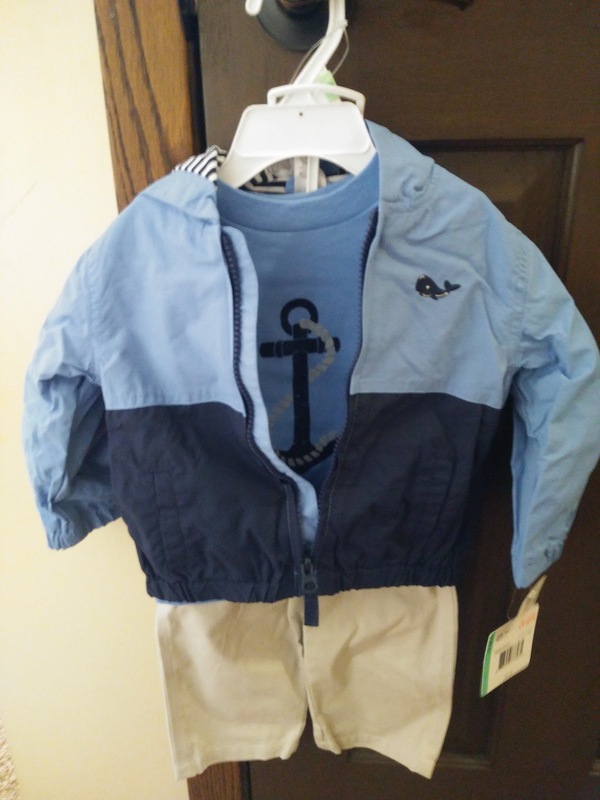 And my son will look so adorable in this Whale Jacket Outfit this Spring. I love the lightweight jacket for that not so hot weather that comes in the spring and the blue colors are so cute on my blue-eyed son! All Little Me outfits are available for purchase on the Little Me website. 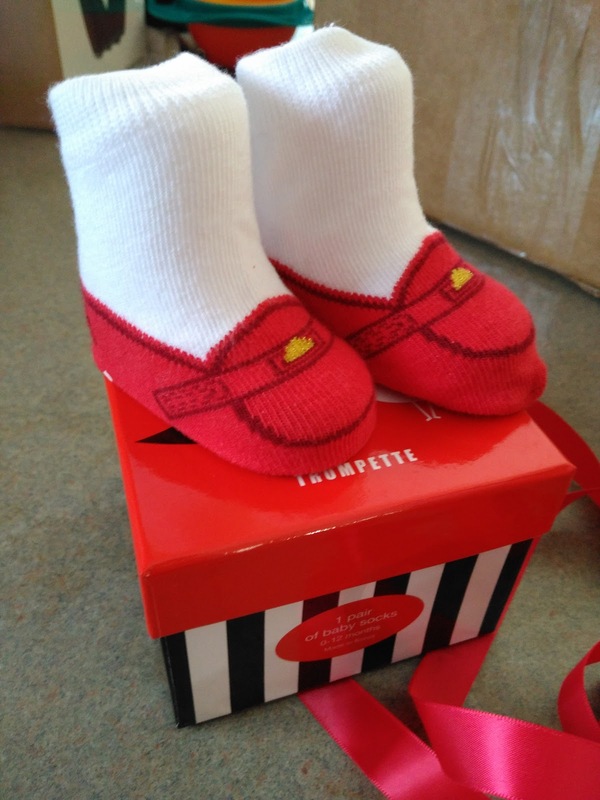 And Trumpette's adorable socks are the perfect addition to any cute outfit and any event you have planned this Spring! One of my favorites are the Valentine Penny Loafer socks! 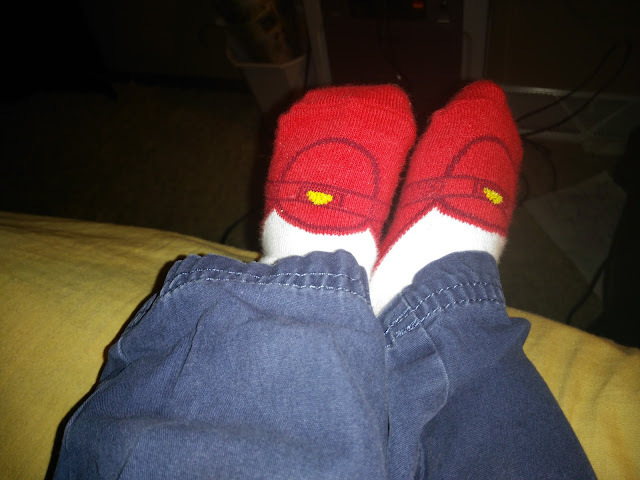 My son was also super excited to get these cute new socks! 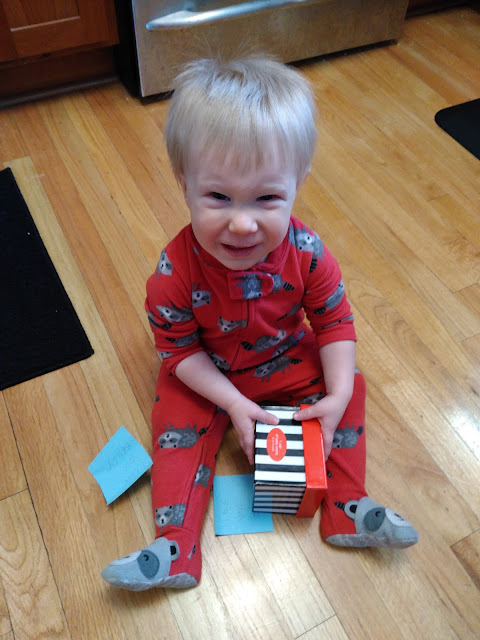 He immediately wanted to open them and put them on! This pair of red penny loafer shoe socks feature a knitted lurex gold heart on the vamp in a gift box. They are SO CUTE and I get comments about how cute they are every time he wears them! He loves to wear them also so that is always a plus too! All Trumpette socks are available from the Trumpette website. So as you start to think about that Spring wedding, Easter, and warmer weather, think about outfitting your children in the super cute, super comfortable clothing and socks from Little Me and Trumpette! You will have compliment after compliment every time your child wears these clothing and your children will love them too!